A £100 million plus investment plan led by Braintree District Council for the benefit of residents and businesses in the district has been announced. Council leader Cllr Graham Butland made the announcement to an audience of the district’s businesses and partners at an event at Braintree Town Hall on Wednesday 28th November 2018. 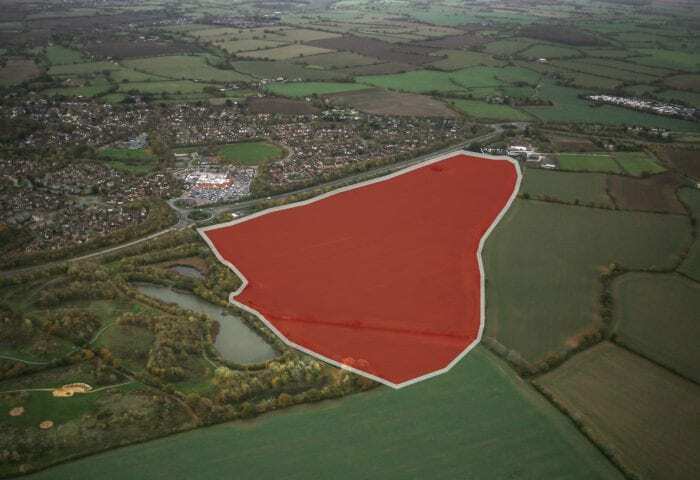 During the event it was revealed that Braintree District Council has now exchanged contracts to buy a 65-acre site in Great Notley which will be the location for a brand new business and innovation park called Horizon 120. The council’s vision for Horizon 120 is to create an exemplar business community attractive to a number of sectors including professional services companies, research, digital and development sectors and advanced manufacturing. The site is likely to be of particular interest to companies working with London Stansted Airport. The council is also exploring options to include the best accompanying facilities which will add to the experience for the employees working on the site such as gyms, retail, restaurant and childcare provision. A hotel is also being considered to support the needs of businesses likely to move to the site. The park will be future-proofed by offering the best fibre-optic connectivity, Wi-Fi hotspots, electric vehicle charging points and flexible accommodation. It will also benefit from views over open countryside with paths and jogging trails linking to Great Notley Country Park. Building work on the industrial units at Braintree Enterprise Centre at Springwood Drive in Braintree started in January 2018 and was completed in September. A 40-space car park has also been built to provide more parking for the conferencing facilities at the Braintree Enterprise Centre, which can be hired by businesses across the region. The units have been described as a “lifeline” by businesses ready to use them. Businesses moving in include Kemtron Limited which manufactures electromagnetic interference shielding components and MDG Limited a specialist sub-contractor in the construction industry.